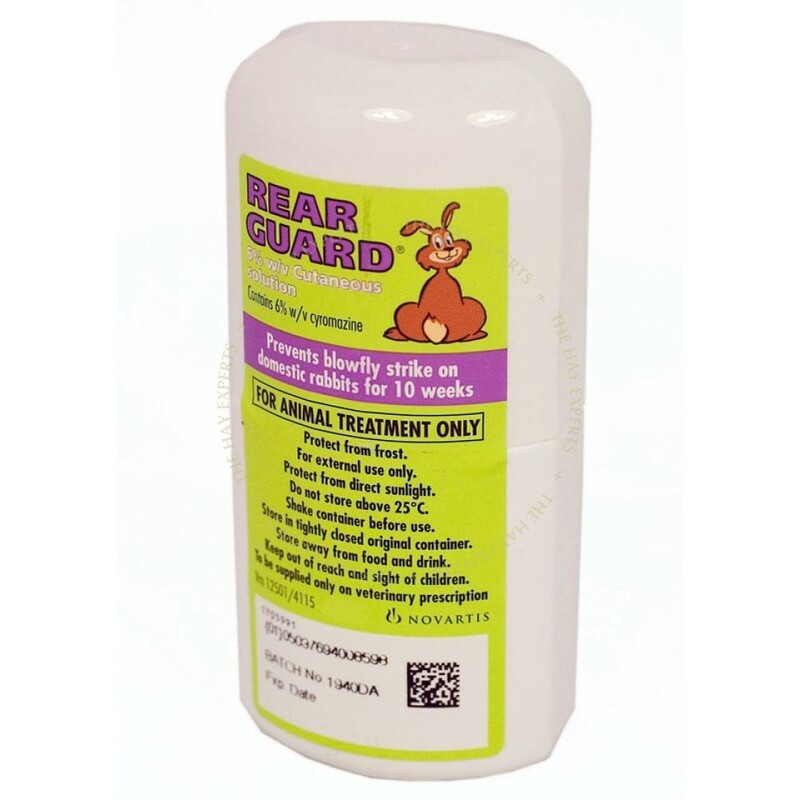 Novartis Rearguard is an aid to prevent Blowfly strike on domestic rabbits from the age of 10 weeks. 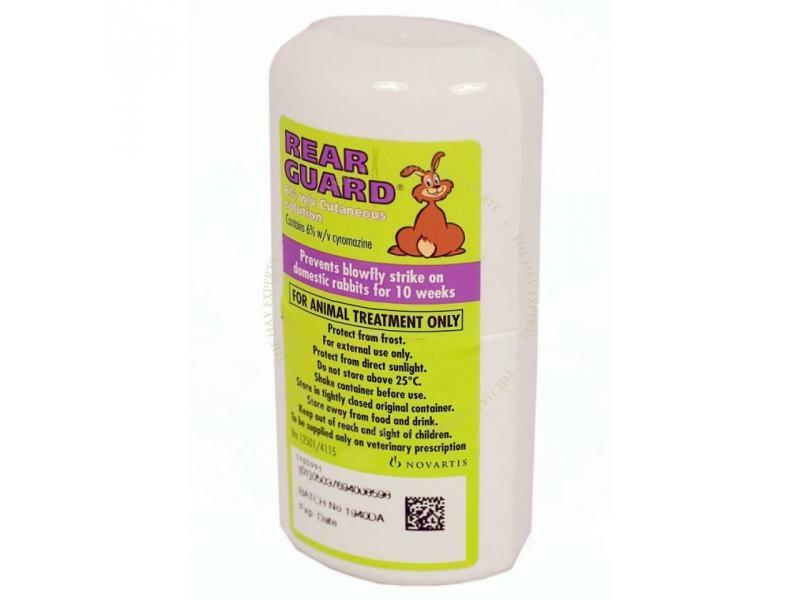 Rear Guard is effective through preventing any fly eggs from hatching into maggots. It does not kill maggots or repel flies. Flies will tend to lay their eggs on the rear end of rabbits if they are moist and unclean. This is usually down to diarrhoea or incontinence. Although Rear Guard will prevent fly strike for 10 weeks after application, it is still worth trying to deal with any underlying problem too. Diarrhoea is often a dietary problem and can respond to an increased fibre and lower carbohydrate diet. Veterinary advice regarding this should be taken where appropriate. There are currently no questions for Novartis Rearguard for Rabbits - be the first to ask one!